The Hallsville High School Athletic Dept has released the bracket for the upcoming Hallsville Softball Tournament to be held on Saturday, August 25, 2018. 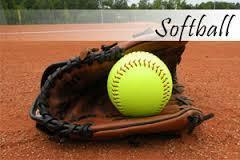 Games will be played at Hallsville High School Softball & Baseball Fields. Admission for the day is $3 Adult, $2 Student. Click the link below to view the bracket.